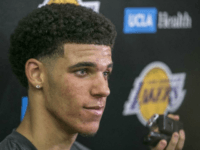 Value Add Basketball indicates Lonzo Ball, who just pulled off a hilarious Father’s Day rip on his overbearing Dad, should receive $21 million for the next three seasons as the No. 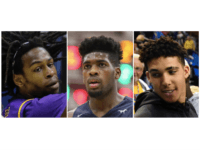 1 pick in Thursday’s NBA draft, while Notre Dame’s Bonzie Colson edges Wisconsin’s Ethan Happ as the best of the 3,704 players still playing for free at the college level. 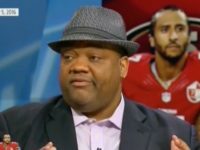 Former ESPN host and Fox Sports commentator Jason Whitlock slammed the sports media for its drift toward left-wing politics, criticized former 49ers quarterback Colin Kaepernick for his faux anti-American protests, and even stuck up for Breitbart Sports. 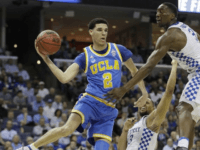 LaVar Ball, the outspoken father of UCLA star basketball player Lonzo Ball, has an interesting theory on why UCLA couldn’t win the national championship. 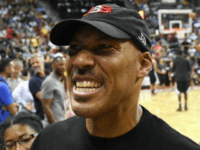 The theory? 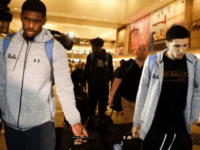 His son was hurt, and UCLA had far too many slow white guys on the team to take up the slack.